1 In a large bowl, combine the mince, egg and breadcrumbs; mix well and roll into balls. 2 Heat a large fry pan to moderately hot, add the oil. Place in the beef meatballs, allow to brown before adding the Recipe Base, water and tomatoes. Simmer for 15-20 minutes or until the meatballs are cooked through and the sauce has thickened. 3 Place the meatballs and sauce into bread rolls that have been cut in half, top with cheese. 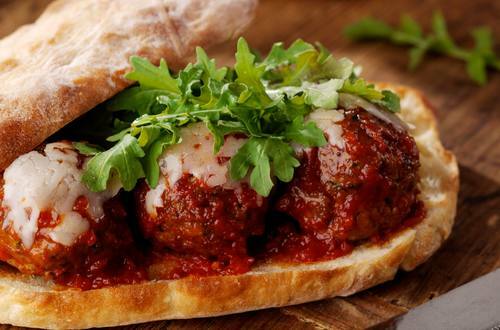 Serve this beef meatball recipe with a fresh salad.